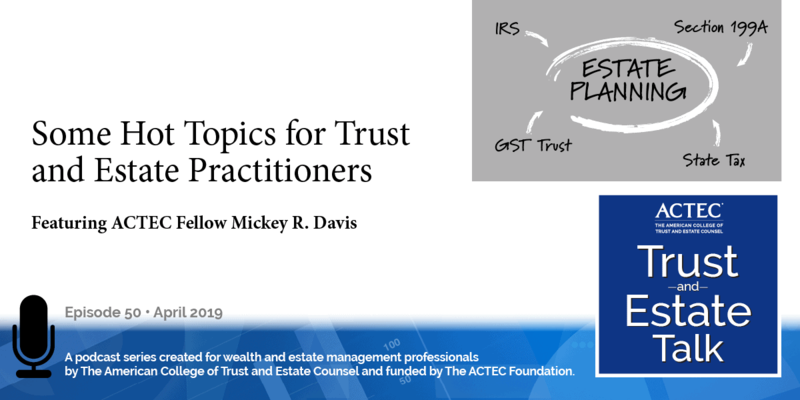 The Legal Education Committee of the American College of Trust and Estate Counsel (ACTEC) issued a request for proposals (RFP) for a $20,000 grant to host an academic symposium on trust and estate law during the 2019-2020 academic year. 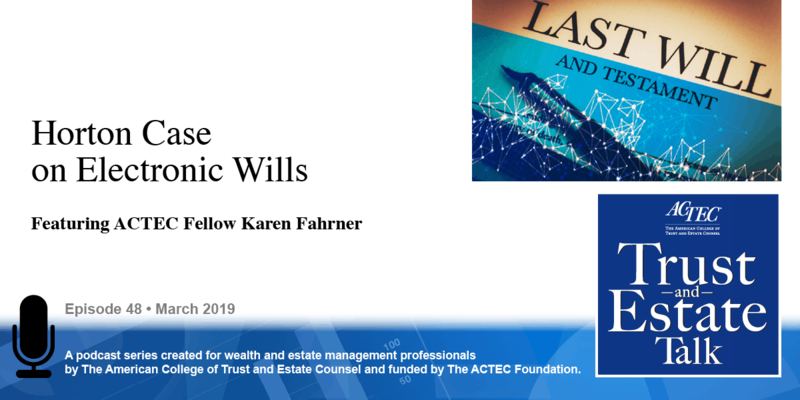 The symposium will stimulate development of scholarly work in trust and estate law, bridge the gap between the academic community and practitioners, provide opportunities for junior academics to present papers and interact with more senior academics, provide an opportunity for trust and estate professors to interact with each other, and involve academics from other disciplines in discussions of trust and estate topics. 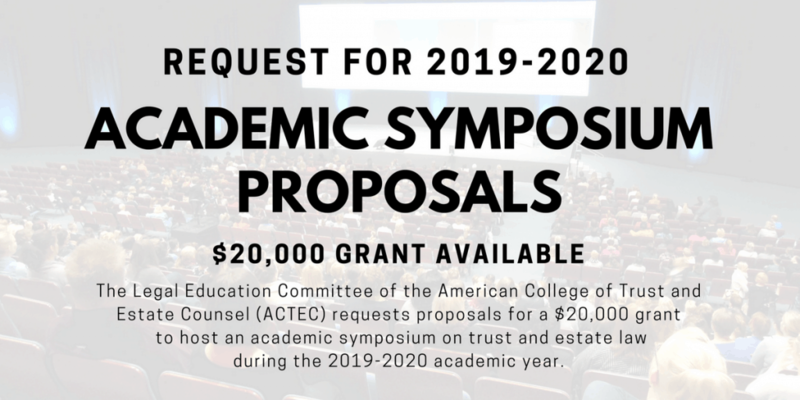 Submit your RFP to: William P. LaPiana, Associate Dean for Academic Affairs, New York Law School, Co-Chair, ACTEC Legal Education Committee, william.lapiana@nyls.edu Electronic submissions are welcome (subject line of email should read “ACTEC Symposium RFP”). 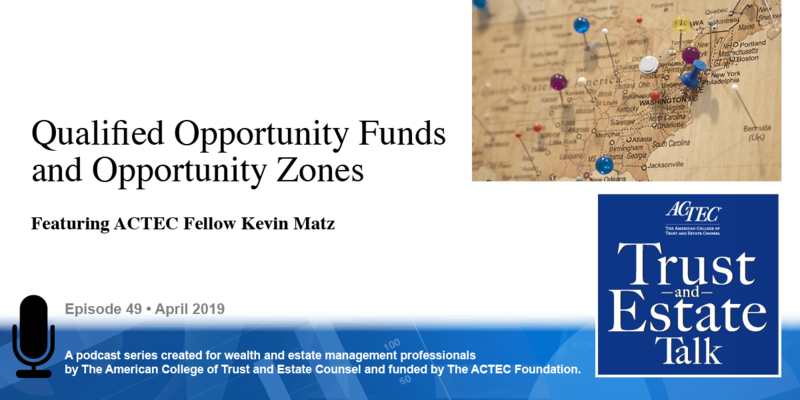 RFPs are due by Monday, May 7, 2018, and will be considered by the Symposium Subcommittee of the ACTEC Legal Education Committee at ACTEC’s Summer Meeting in Chicago, Illinois, in June 2018. Prior symposia included the Fall 2009 Symposium “Philanthropy in the 21st Century”, which was held at Chicago Kent School of Law; the Fall 2011 Symposium “The Uniform Probate Code: The Remaking of American Succession Law”, which was held at the University of Michigan Law School; the Fall 2014 Symposium “The Emergent Federal Role in Private Wealth Transfer”, which was held at Vanderbilt University; and the Fall 2017 Symposium “Wealth Transfer Law in Comparative and International Perspective”, which was held at the University of Iowa College of Law.